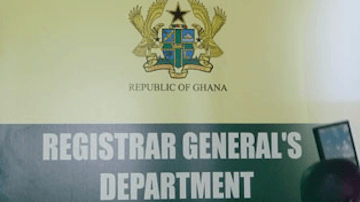 The Registrar General’s Department (RGD) on Monday called on the public to disregard any call by persons or individuals demanding monies from companies to renew their business names and pay penalty for non-filing of annual returns. The RGD said it has not authorized any group of persons or individuals to collect monies from companies on its behalf to renew their business names or pay any penalty. It noted that the Department does not interact with defaulting client through such means, but rather through publication in the print or electronics media as well as sending text messages to notify clients. The statement said the RGD had, therefore, taken steps to investigate the matter in order to bring the perpetrators to book. It said all businesses who wish to be in good standing in the RGD’s Register for Business should make every effort to comply in time with the directive.